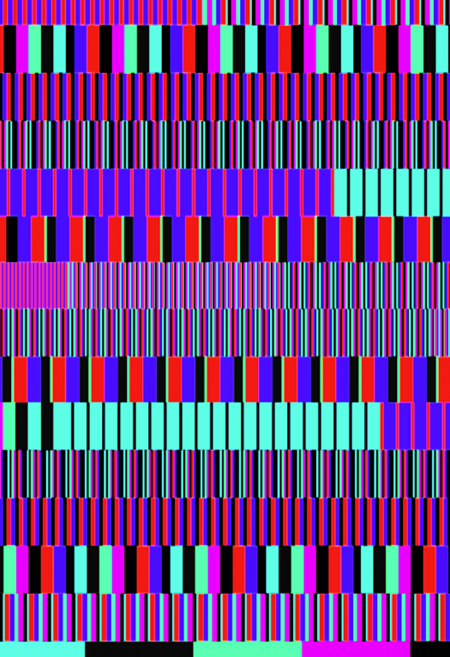 I created this pattern by experimenting with images and sound. 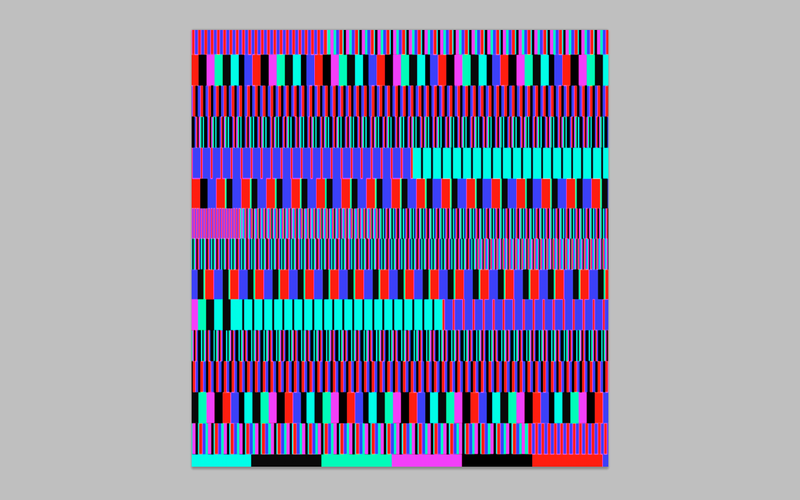 I compressed the coloured blocks to create a sort of sound card. That could be read as a pattern but also when put into a program can be converted into sound. This entry was posted on Wednesday, August 22nd, 2012 at 11:53 am	and is filed under / / / / / Inspiration, play and experiement. You can follow any responses to this entry through the RSS 2.0 feed. Both comments and pings are currently closed.